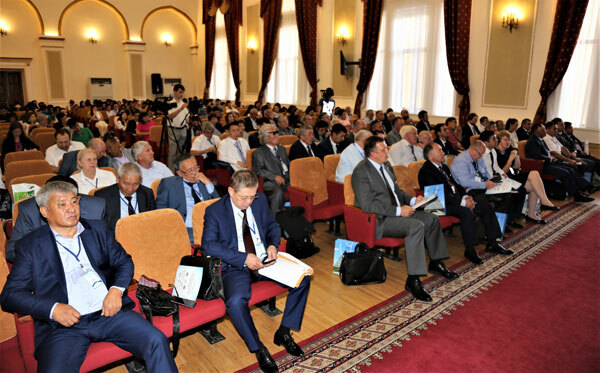 International Scientific-Practical Conference “Transboundary Cooperation in Central Asia – Sustainability and Prosperity of the Region” was held on September 7, 2017 in Almaty. It was dedicated to the 25th Anniversary of the Interstate Commission for Water Coordination in Central Asia and was held as a preparatory process to the 8th World Water Forum (March 2018, Brazil). The Conference was jointly organized by the Executive Administration of IFAS for Kazakhstan and the Kazakh National Agrarian University (KazNAU) with the support of the Institute of Geography at the Ministry of Education and Science of the Republic of Kazakhstan, National Water Partnership of Kazakhstan, OSCE Program Office in Astana, CAREC, and Kazakh branch of SIC ICWC. The Conference was held at KazNAU. The rector of KazNAU Mr. T.I.Espolov and deputies of the Kazakh Parliament Mrs. G.A.Baymakhanova and Mrs. I.V.Smirnova made their speeches at the plenary session. 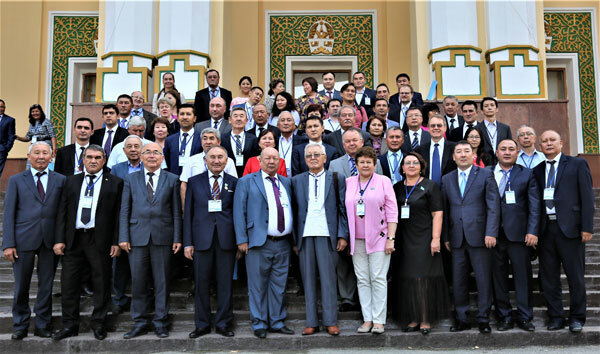 SIC ICWC Director Prof. V. A. Dukhovniy and the Director of the Kazakh branch of SIC ICWC Mr.N.K.Kipshakbaev reported on the 25th Anniversary of ICWC and transboundary water cooperation in Central Asia. They highlighted progress achieved and problems to be resolved to improve cooperation. CAREC Executive Director Mr. I.Kh.Abdullaev spoke on capabilities in strengthening water cooperation in the region and underlined that economic expenditures were estimated at US$ 4.5 billion due to the lack of cooperation. Mr. M.R.Zhienbaev, Head of Transboundary Rivers Division at the Ministry of Agriculture of the Republic of Kazakhstan, spoke about international water cooperation of Kazakhstan with neighboring countries. Mr.S.Akhmedov spoke about the International Water Resources Assessment Center established in Astana. 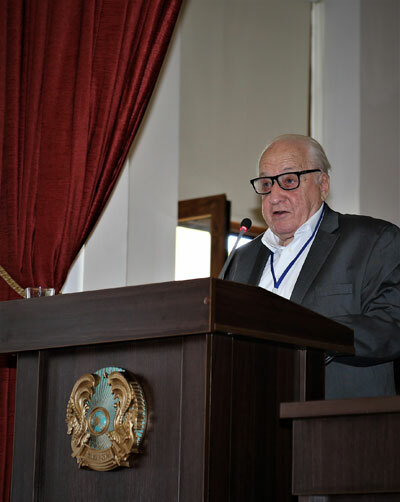 Director of the Executive Administration of IFAS for Kazakhstan Mr. B.K.Bekniyaz highlighted the results of the International Aral Forum for Sustainable Development - “Aral 2017”. Mr. K.U.Alibaev informed about aims, tasks, and basic results of the Project “Regulation of the Syrdarya River channel and preservation of the Northern Aral Sea”. The Head of the Administration for Water Balance and Water Conservation Technology Development of the Republic of Uzbekistan Mr. Sh.Kuchkarov spoke about practical measures of the country to support and develop bi- and multilateral water cooperation. He also underlined national measures implemented under the “Comprehensive program on mitigation of consequences of the Aral Sea catastrophe, restoration and socio-economic development in Prearalie for the period of 2015-2018”. Head of the GROHE Representative Office in Kazakhstan Mr. S.Tsink presented advanced resource-saving technologies of the company, which is a leading manufacturer of sanitary fittings. Development partners – representatives of GIZ, OSCE, ADB, and World Bank – informed on their activity and ongoing projects. Particularly, ADB Country Director for Kazakhstan Mr. Giovanni Kapannelli spoke about two projects to be implemented in the nearest time. The first project “Strengthening Water Security in the Aral Sea Basin” focuses on Tajikistan, Turkmenistan, and Uzbekistan. Under the second project, the establishment of the Almaty Knowledge Hub on Integrated Water Resource Management is planned at KazNAU.